Paul Queally and his wife Anne-Marie’s son Brian was diagnosed with T1D at age 18. Paul is a Special Advisor of Welsh, Carson, Anderson & Stowe. He joined WCAS’s Healthcare Group in 1996 and served as Co-President of the firm from 2007 to 2016. 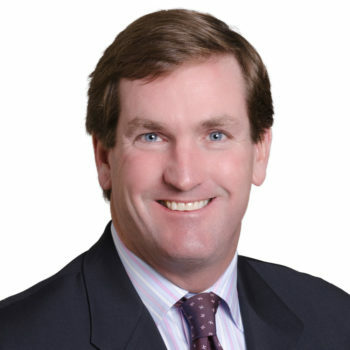 Prior to joining WCAS, he was a General Partner at The Sprout Group, Donaldson, Lufkin & Jenrette’s private equity group. In addition, Paul is Chairman of the Board at the University of Richmond and has served on the Board of Directors at K2M, Inc., LabOne, Inc., Concentra Operating Corp., United Surgical Partners International, Inc., AGA Medical Corp., Aptuit LLC, Valeritas, Inc., AGA Medical Holdings, Inc., MedCath Corp., and AmComp, Inc. among others. Paul received his M.B.A. from Columbia Business School and a B.A. from the University of Richmond.